" At the tender age of 8 years, Yannick Koffi’s musical talent secured him an endorsement with guitar manufacturer Fender. " 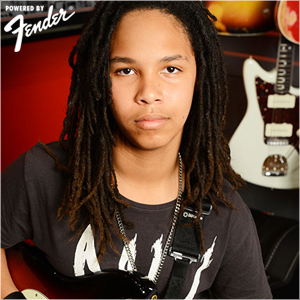 At the tender age of 8 years, Yannick Koffi’s musical talent secured him an endorsement with guitar manufacturer Fender. on a TV show called “Unbelievable!” In Yannick latest trip to japan he teamed up with 4 other child music prodigies called “Superkids” band to perform a Massive TV show produced by Fuji Television. It was their fifth year reunion. Yannick went on to be selected by the Oprah Winfrey show in their “search for the world’s smartest & most talented kids”. Yannick’s visit to his father’s native Ivory Coast in 2009 gave him the opportunity to perform in a series of concerts in Abidjan where his musical maturity touched the crowd and impressed many local and international entertainers. Yannick performed alongside acclaimed musicians such as Alpha Blondy, Ismael Isaac, Kadjeem, Desire Gadeau and Caribbean superstar Jacob Desvarieux from the group Kassav’. Yannick’s musical journey later took him to the United States to share the stage with legendary reggae act, “Third World”, at the Home Run Music Festival in Florida. His talent was recognized by CBS News and broadcast on their network. In May 2011, Yannick returned to the Ivory Coast in an official capacity to perform for 25 presidents including UN Secretary-General Ban Ki-moon for the investiture of the new Ivorian President Alasane Ouattara. In 2012 Yannick reached the semi-finals of Australia’s Got Talent as part of the group Larger Than Life. Along the way, Yannick has been influenced by many music greats and genres, including that of his African born father. secured him a scholarship and cemented his deep respect and admiration for John Mayer’s music. Yannick is developing his own sound and style of music as a singer and songwriter writing rich music and touching lyrics which go well beyond his years. Yannick currently attends the prestigious McDonald College of Performing Arts in Sydney where his musical passion and talent is recognised and further developed. Yannick’s education perfectly compliments his home life. Born to a passionate, professional musician, Yannick’s first language is music. 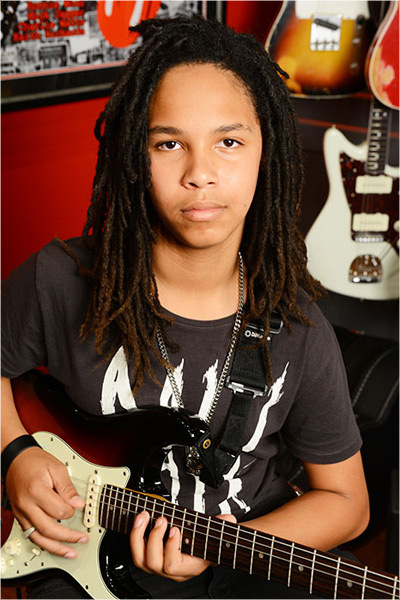 Performing on stage, giving interviews and appearing on TV shows is second nature to this young virtuoso who is comfortable with just about any style of music from Blues to Rock to Afro-Caribbean tunes which run in his blood.